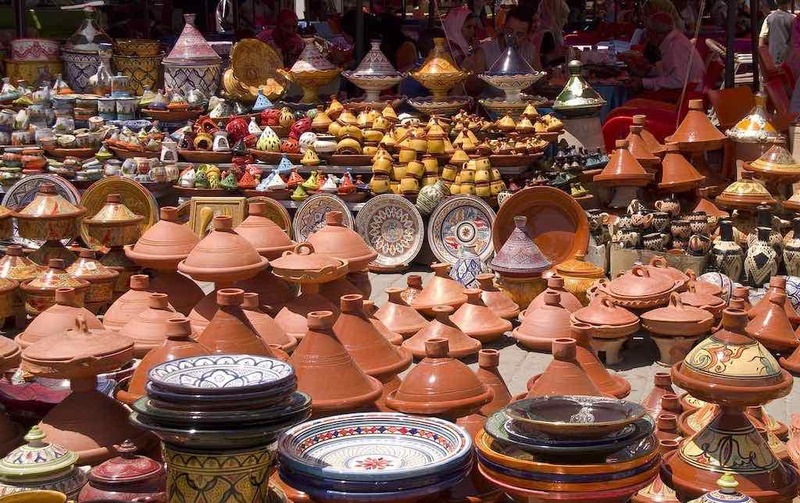 If you want to make the most out of your trip to Morocco then you’ll need to be prepared to do some shopping. 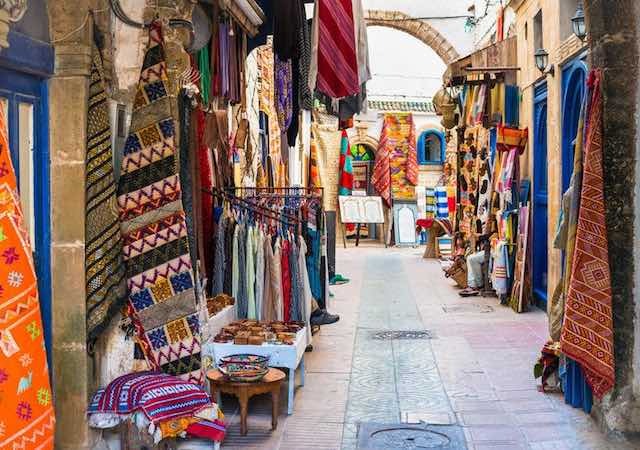 You’ll need the following things as you make your way through the busiest markets of Fez, Marrakesh and other cities; some ideas on what you’re looking to buy, a good budget, and a sure way to pay for it all. There are weekly markets across every region in Morocco, but the cities have open markets every day. Each area in the medina is dedicated to a particular type of item. There is pottery in one area for example, where you can buy handmade dishes, soap holders, and vases. Then you will find leather goods in another area such as pouffes, ground cushions, and handbags. 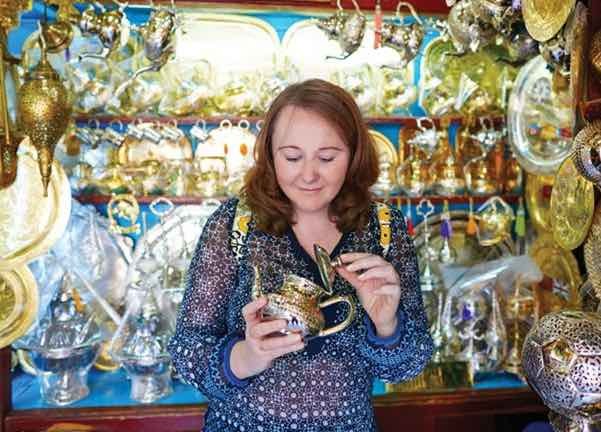 In another area you might find metal items like serving trays, lamps, and teapots. It’s a good idea to do a little research into what you’re interested in to find the products that you need. If you’re hoping to sample the finest pottery for example, you should choose the style or colours that best match your taste. Safi in Morocco is known for having green and back vases, while Salé is known for their Earth tones. If you are interested in purchasing rare wooden products, then Essaouira is known for wood crafters designing the most intricate and beautiful inlaid boxes. Should you be looking for some embroidery or clothing, then Fez and Meknes are where you need to be for the best designs. Then you should have an idea of how much you’re willing to spend. Moroccan salesmen are known for giving out high first prices. This is a practice that affects locals as well as travellers, although locals are better at determining the real worth of items. One way travellers can prepare themselves for this is to visit somewhere that sells the items at fixed prices. 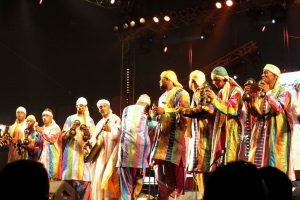 These are considered “ensemble artisanal” and – even though their prices may be somewhat elevated – it gives you a good idea of how much something in a medina or souk should really cost. The movement for established fixed prices has gained ground in Morocco. It does make things easier, but it doesn’t mean you aren’t able to bargain for a better price. There’s no bargaining in these cooperative stores, but you can bargain in a medina. Finally, you need to have a way to pay for the items. Some of the higher-end hotels and carpet stores will have credit card machines, but most deal in cash only. Many places in Morocco will not take credit cards. 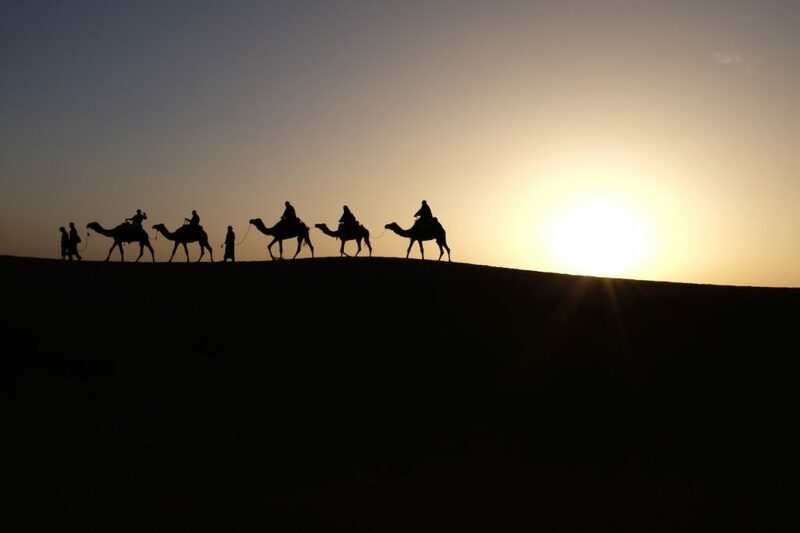 There’s nowhere in Morocco that will take a traveller’s check and the banks there won’t cash them. A great way to take money out in Morocco is through the many ATM machines you can find on the streets, but make sure your bank knows you’re travelling. Travellers also have the option of bringing their own local currency – such as euros and dollars – and exchanging them in banks or at the airport. Different establishments may offer different exchange rates. All in all, shopping in Morocco can be somewhat overwhelming because of all the beautiful items on offer. The colours smells, and even the tradesman capture the unwary, practically hypnotizing them. Make sure you go in with a good idea of what you want, what your budget is, and with enough cash to pay for it all. 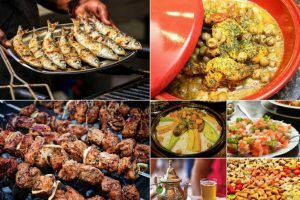 This advice is courtesy of people that have lived in Morocco and understand that you can get some great bargains while enjoying your stay in the beautiful country of Morocco.